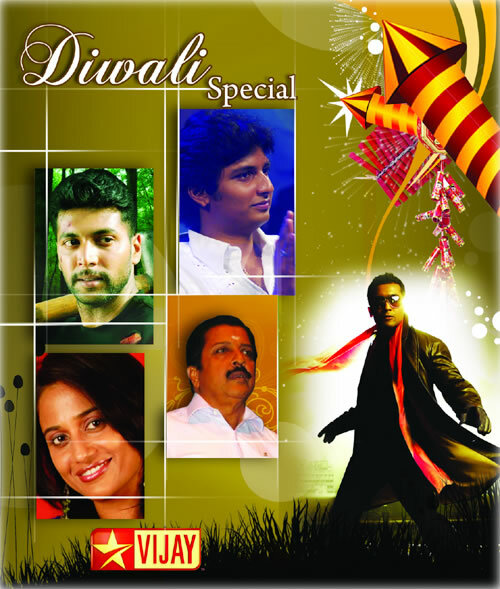 Vijay TV has announced an array of Diwali special programs to get its viewers glued to the TV screen. The visual celebrations that start from October 14, 2009 will last for a week, according to the channel’s announcement. During the week, there will be a special show of Airtel Super Singer Junior, a feature on the ‘Making of Slumdog Millionaire’ followed by the Tamil version of the movie, the special show Diwali Mega Mugam and the Diwali special edition of the reality show Boys Vs. Girls. Diwali day will see exclusive programs such as Sirappu Pattimandram, Neeya Naana, Jodi. No.1 juniors, Koffee with Anu Special with Surya and Producer Udayanidhi Stalin, Namma Veetu Kalyanam, curtain-raiser of the movie Goa, Sivakumarin enn kanninmanigal and Jayam Ravi’s interview. Last day of the celebrations, October 18, 2009 will have Antha Kaalam Indha Kaalam, Adu Idhu Ethu, Anu Alavum Bayamillai and Paatu Paadava programs.